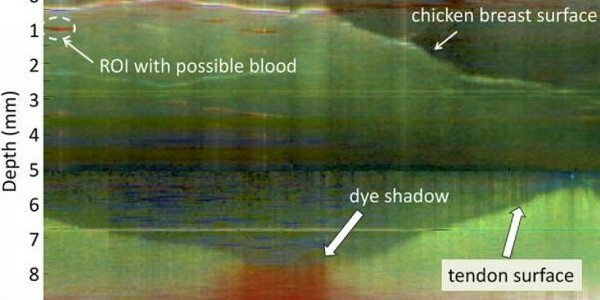 Our Spectroscopic optical coherence tomography (OCT) technique permits depth resolved true-color imaging of specific molecules, including hemoglobin and medical dyes such as fluorescein. A 2011 article in the journal Gastroenterology reported on the effectiveness of angle-resolved low coherence interferometry (a/LCI) in the detection of dysplasia when looking for cancer. The light based method uses "in vivo depth-resolved nuclear morphology measurement" to detect changes in the nature of tissue. Spatiotemporal distribution of Tenofovir in a porcine vaginal tissue sample measured with confocal Raman spectroscopy and optical coherence tomography. After topical application, the drug diffuses out of the gel, through the epithelium, and into the targeted stromal layer, which is where HIV-infectible cells reside. 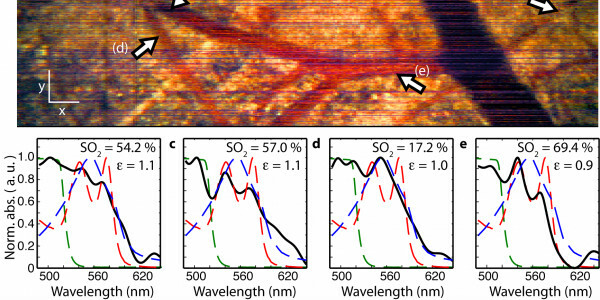 Quantitative phase imaging can provide nanoscale imaging information useful for a range of imaging tasks. 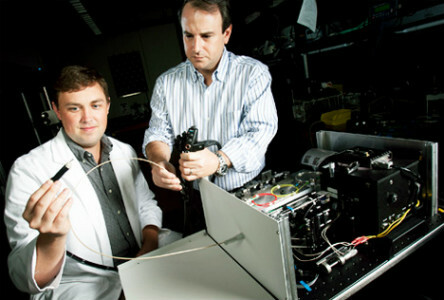 Optical spectroscopy has long held great promise for biomedical diagnostics. When used to assess the health of the human body, optical techniques offer the advantages that they are non-invasive, non-ionizing and can be implemented by simple, cost-efficient means. Recently, light scattering methods have begun to realize this potential through application to the detection of pre-cancerous lesions. The basis of these methods is to detect altered cellular morphology associated with early cancer by observing variations in the interaction between light and cell organelles through the distribution of elastically scattered light. 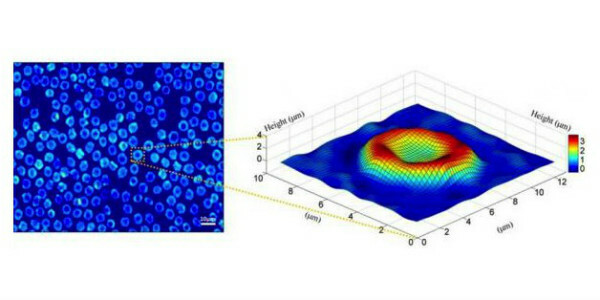 The goal of our research is to develop new applications of interferometry for detecting light that has interacted with cells and tissues as a method of determining their structural and functional features with sub-wavelength resolution. 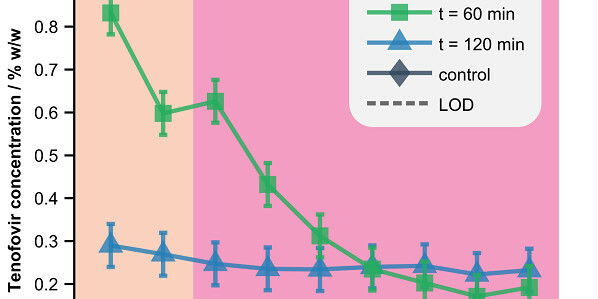 Among compelling applications of this approach are its use for diagnosing disease based on measuring cellular morphology both in situ and in vitro and its use as a precision tool for cell biology experiments, leading to improved understanding of the basic functions of the cell and the origins of dysfunction due to disease. Congratulations to Dr. Sanghoon Kim! Congratulations to Dr. Yang Zhao!